The Seminar’s official languages are English and French. The Seminar constitutes the first section of the MEM Summer Summit, which took place from the 16 to 24 August at the USI University Lugano Campus. Women’s Empowerment: What is at Stake? 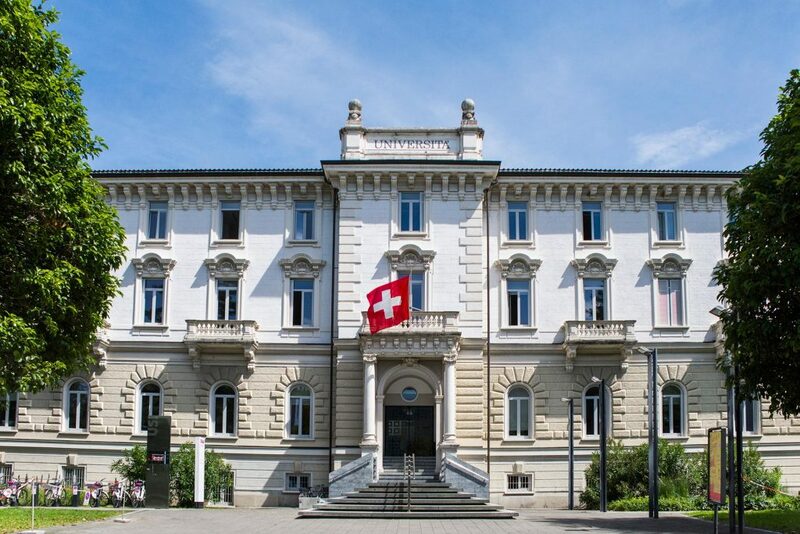 The Università della Svizzera Italiana endorses the MEM Code of Conduct, which is applicable to all individuals participating in the MEM Summer Summit. 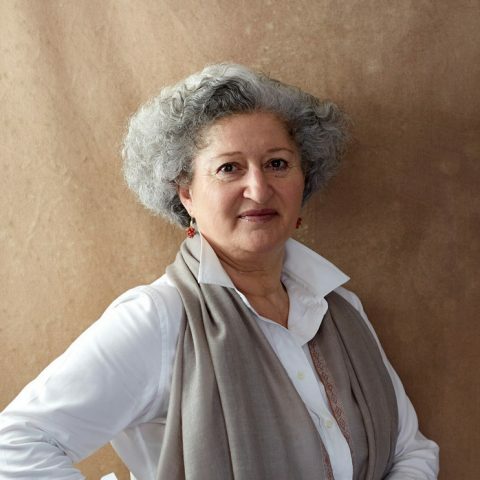 Mouna Atassi has over 30 years' experience as a culture professional, curator, gallerist and publisher. Mouna has a BA in French Literature and has been a pillar of Syria’s art scene since the eighties. Mouna set up the first private art gallery in Homs in the 1980s. In 1990 she moved to Damascus where she set up another art gallery whose work continued until 2012. During this time Mouna was instrumental in the creation of a vibrant art scene in Damascus. She curated and organised world-class exhibitions in Damascus and in Lebanon, Jordan, Egypt and the UAE. Mouna also published and edited a number of art books on Syrian art, organised panel discussions and promoted cultural exchanges. In 2015 Mouna founded the Atassi Foundation for Art and Culture, an independent non-profit family initiative, whose aim is to preserve and promote Syrian art and increase its global visibility, recognition and appreciation. Mouna serves as the Foundation’s Chairwoman and she steers the strategic direction of the Foundation. The formation of the Foundation comes from her strong belief in the vital role that art and culture have in building societies and overcoming the ravages of war and destruction. Mouna currently lives with her family in Dubai and Paris. 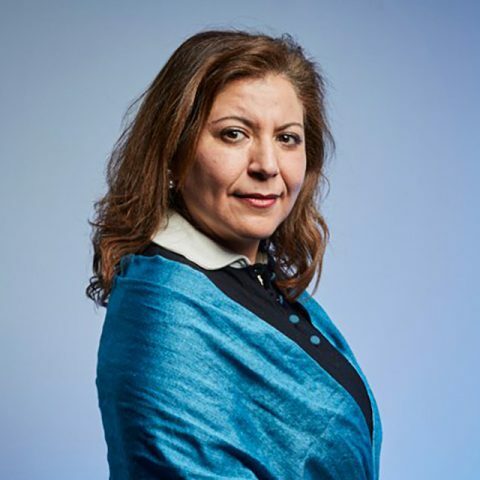 Shireen Atassi has over 20 years' experience in working in a variety of companies and industries, from management consulting (at Ernst & Young), to FMCG (at Mars Inc), Banking (at Citi Group) and arts and culture (at Atassi Gallery). Shireen is now the Director of Atassi Foundation for Art and Culture, a non-profit initiative that was set up to preserve and promote the artistic heritage of Syria and to supportits young talents. Shireen joined Atassi Foundation since its inception in 2015 and since then she has been instrumental in drawing the strategic direction of the Foundation and in positioning it as the leading thought leader on the arts and culture of Syria. Shireen has a BSc in Economics and an MBA in Management from Imperial College, London. She currently lives and works in Dubai. 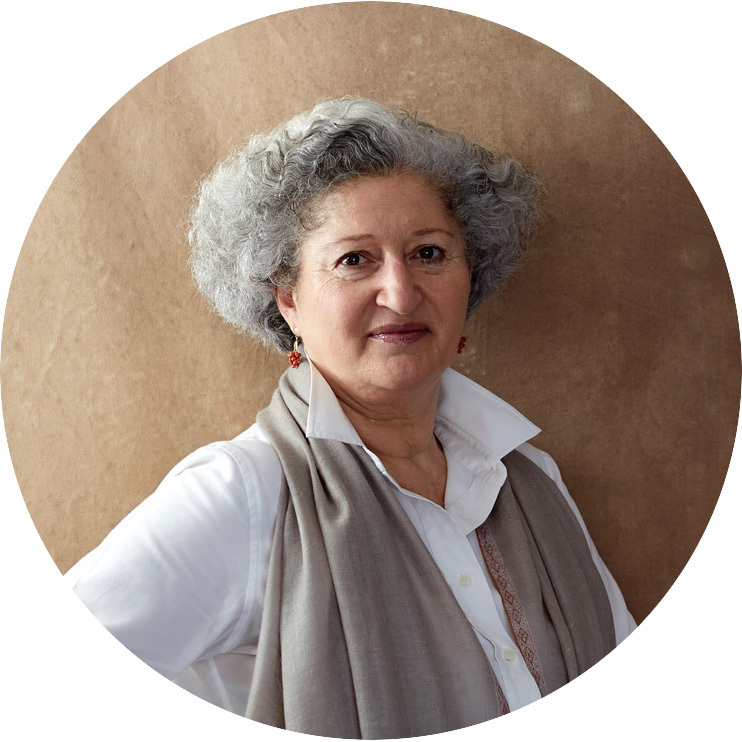 Mouna Atassi has over 30 years’ experience as a culture professional, curator, gallerist and publisher. Mouna has a BA in French Literature and has been a pillar of Syria’s art scene since the eighties. 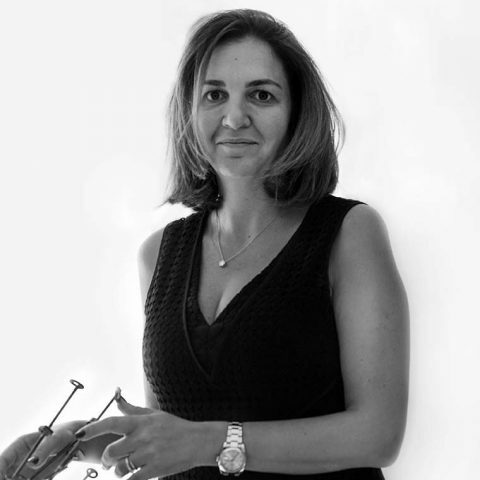 Shireen Atassi has over 20 years’ experience in working in a variety of companies and industries, from management consulting (at Ernst & Young), to FMCG (at Mars Inc), Banking (at Citi Group) and arts and culture (at Atassi Gallery). Dr. Baez Camargo holds a PhD in political science from the University of Notre Dame, USA and a degree in economics from the University of Cambridge, England. Originally from Mexico, she initiated her professional career working with the Ministry for Social Development, Federal Government of Mexico. There, Baez Camargo was involved in developing demand-driven poverty reduction programmes to ensure access to public services for low-income rural communities. She is currently Head of Governance Research at the Basel Institute on Governance where she is responsible for the development, oversight and management of the Institute’s research activities in the areas of public and global governance. Baez Camargo also works with a broad range of interested stakeholders on consultancy projects aimed at developing context sensitive strategies to prevent corruption in the public sector. She also teaches courses on corruption and development, health systems governance and has developed a special curriculum on research methods focusing on corruption studies. Fabrice Balanche, a visiting fellow at the Hoover Institution, is a political geographer who specialises in the Middle East. He was previously the director of the Urban Observatory at the French Institute in Beirut from 2003 to 2007, the director of GREMMO (Research Group on the Mediterranean and the Middle East) at the University of Lyon from 2010 to 2015, and a visiting fellow at the Washington Institute for Near East Policy from 2015 to 2017. 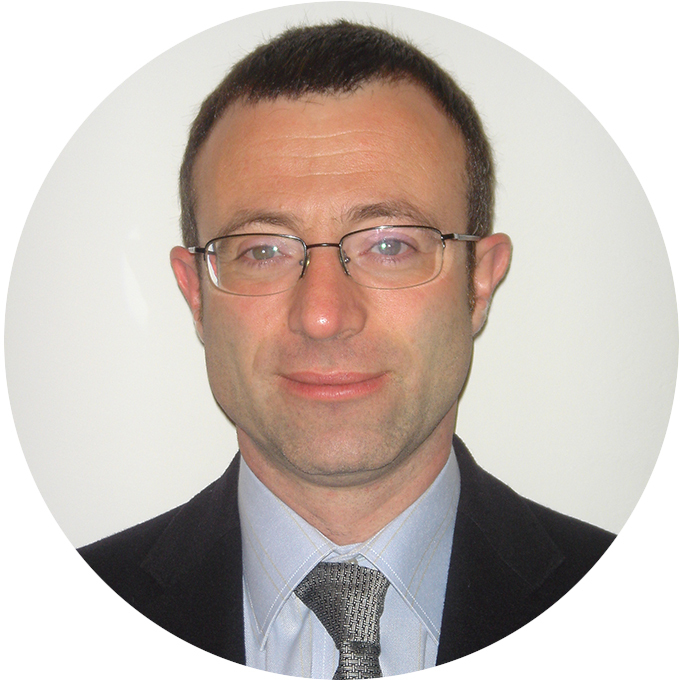 He is also an associate professor at the University of Lyon in his native France. Balanche received a doctorate in political geography from the University of Tours in 2000 and accreditation to supervise research from the University of Lyon in 2013. He spent ten years in Lebanon and Syria, his main areas of study, since first engaging in fieldwork in the region in 1990. 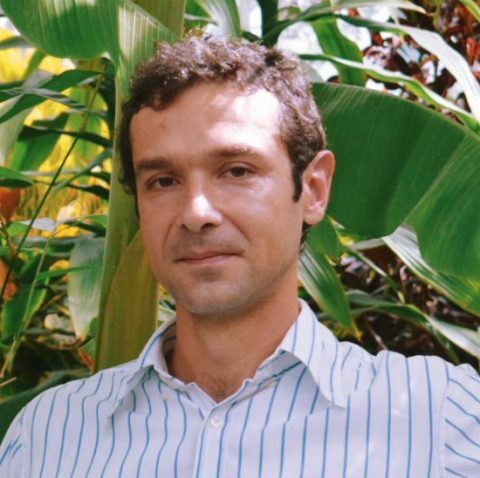 Fabrice Balanche tries to understand political power by studying territory through a multidisciplinary approach that combines quantitative and qualitative methods, GIS, and direct field surveys. Mapping is an important part of his research. His publications includeSectarianism in the Syrian Civil War (2018, in English), Geopolitics of the Middle East (2014, in French), Atlas of the Near East (2012, in English, French, and Arabic), the book version of his thesis, The Alawite Region and Syrian Power (2006, in French), and many articles on Syria and Middle East. Fabrice Balanche speaks French, English, Arabic, and Spanish. He is frequently called on as an expert consultant on Middle East development issues and the Syrian crisis. Ms Jasmin Basic is a film historian and curator. 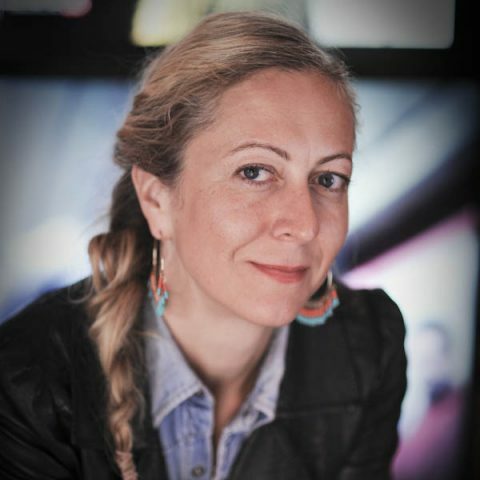 She has collaborated as coordinator and programmer with several festivals in Switzerland and abroad, including: Visions du Réel in Nyon, Cinema Tous Ecrans in Geneva, Split International Film Festival in Croatia, NIFFF in Neuchâtel, Animafest Zagreb in Croatia, International Film Festival and Forum on Human Rights – FIFDH in Geneva, Solothurn Film Festival, and International Animation Festival Fantoche in Baden. She has curated retrospectives on Michael Mann, Charles Burnett, David Cronenberg, Michael Snow, Harun Farocki, Atom Egoyan and on the Yugoslav Black Wave. She has developed programmes and events focused on international TV series. 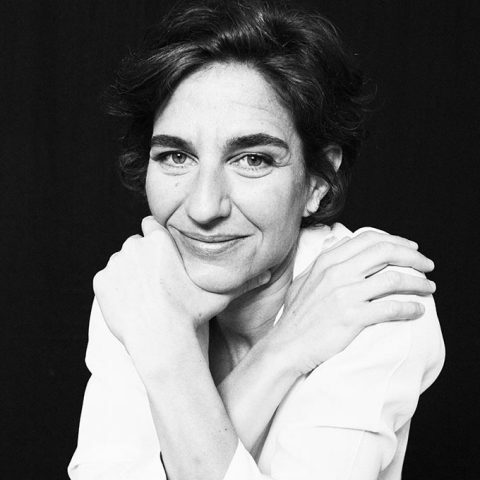 She has also collaborated with the Geneva University of Arts & Design, HEAD, the Cinemathèque of Tangier in Morocco, the Centre for the Image La Virreina in Barcelona, the Croatian Audiovisual Center – HAVC, the French Cinémathèque, Centre Pompidou, the Cahiers du Cinéma, and the Forum des Images in Paris. She was an appointed expert for the Swiss Federal Office of Culture for TV drama and series and a Board Member of the Geneva Film Commission. Essma Ben Hamida co-founded the first microfinance institution in Tunisia with Michael Cracknell upon her return to Tunisia in 1990. With 340,000 active borrowers (65% of which are women), a €200 million outstanding portfolio, 90 branches, and 1750 employees, Enda inter-arabe is ranked among the best MFIs in Africa and the Arab region. Microrate’s latest rating gave Enda inter-arabe an ‘alpha’ rating with a “positive” outlook in terms of its financial performance, and 5 (excellent) as far as its social performance is concerned. In addition, the Smart Campaign has certified Enda inter-arabe with Client Protection Principles. 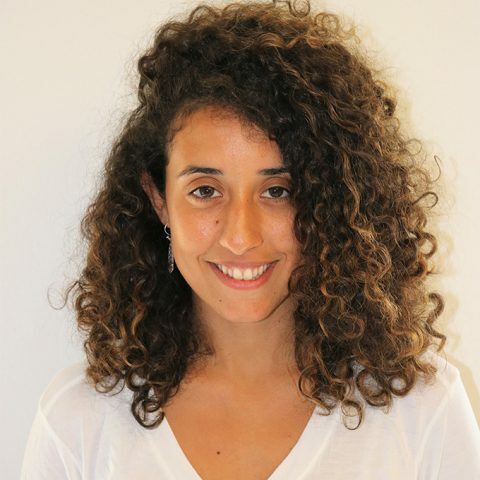 Ben Hamida holds a university degree in Geography and History from the University of Tunis and spent her post-graduate year in urban planning at Créteil University, Paris. Prior to her career in microfinance, she worked as a journalist and reporter in Tunisia, New York, Rome and Geneva; she was also a consultant for the United Nations. 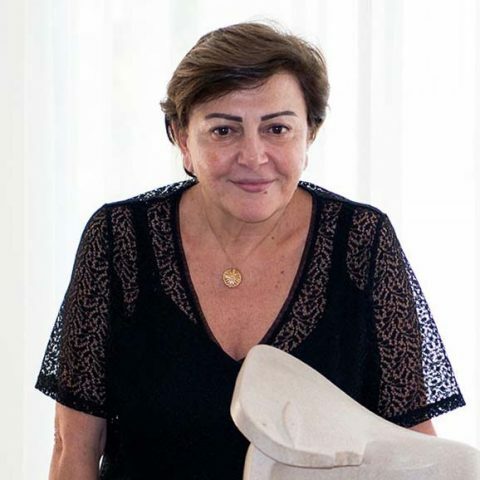 She is a founding member of SANABEL, the microfinance network of Arab countries, and was elected twice to Sanabel’s Board (from 2002 to 2008) and served as chairperson from 2006 to 2008. She has received several awards, including the distinction of ‘Outstanding Social Entrepreneur in the Middle East and North Africa’by the prestigious Schwab Foundation and the World Economic Forum (Marrakech, October 2010). 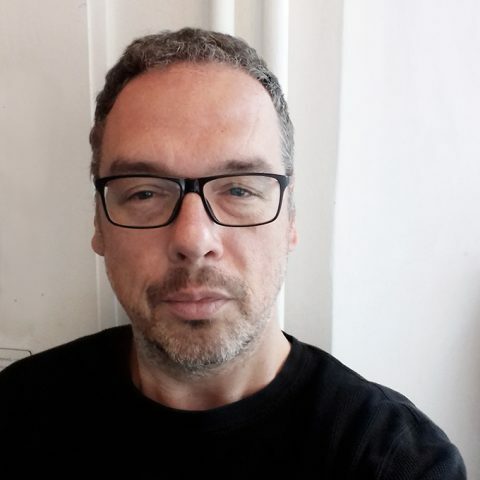 Isa Blumi received his PhD from NYU and his MA/BA from the New School for Social Research, and is a recent addition to the Department of Asian, Middle Eastern and Turkish Studies at Stockholm University. Blumi researches and writes on a wide range of themes that link both periods and geographies. Having just finished his latest book, ‘Destroying Yemen’ (University of California Press, 2018), which accounts for the recent violence in South Arabia, he has returned to exploring transitional societies. A visiting scholar in LMU-Munich in January 2018, he organised a two-day workshop on the long-term impact of the collapse of the Romanov, Habsburg, and Ottoman empires in relation to the movements of these polities’ subjects well beyond World War II. Pairing the organisation of this international event, his research into migrations to the Americas is an extension to his earlier work on the global dispersal of Ottoman subjects from 1878 to 1930, which are detailed in his book, ‘Ottoman Refugees’ (Bloomsbury, 2013). 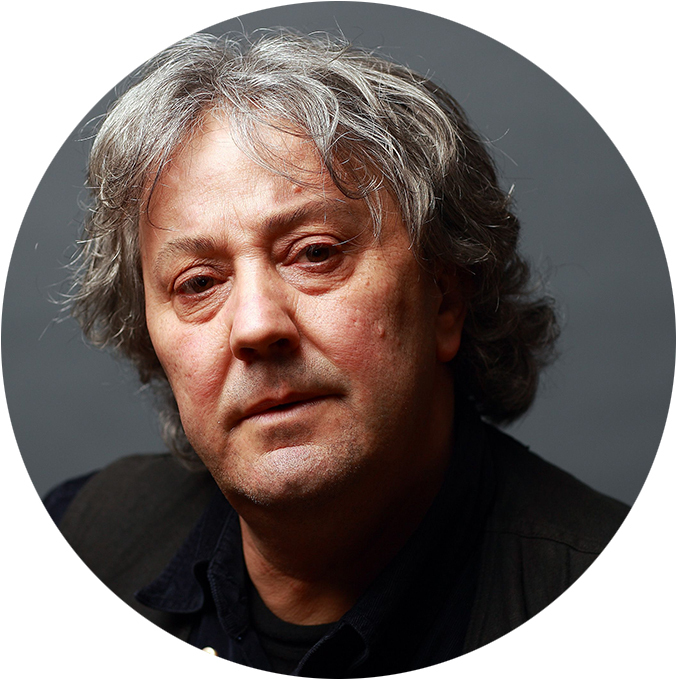 In addition to producing six monographs and five edited volumes on both the Balkans and larger Middle East, covering the entire 19thcentury to present times, he has published more than two dozen peer reviewed articles and a similar number of book chapters. A former Fullbright-Hays, SSRC, ACLS, and FOW scholar, Blumi has taught at universities in Belgium, UAE, USA, Canada, Germany, Albania, as well as the Graduate Institute in Geneva in 2013. 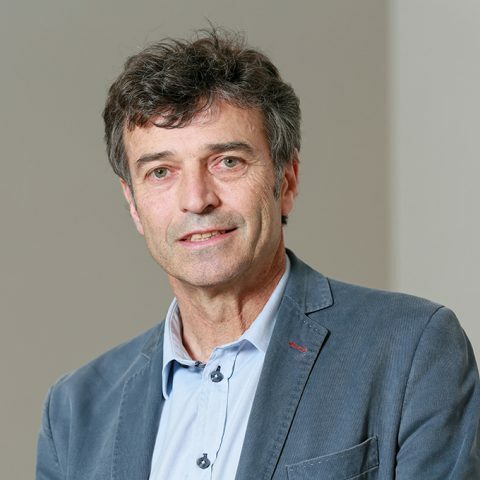 Professor of Political Sociology at the Anthropology and Sociology Department of the IHEID in Geneva, his main geographical area of fieldwork for the last 35 years has been the Near East with a particular focus on Jordan, Israel/Palestine and Lebanon. He has successively worked on issues of development policies and State-building; on humanitarian aid and refugees; and monitoring the impact of international aid on civilian populations. In addition to his PhD at SciencesPo (Paris), he has degrees in cultural anthropology, development studies and Arabic language. 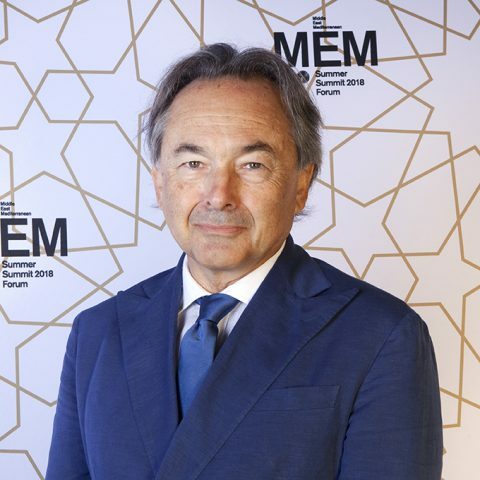 He has been director of the French Centre for Research on the Contemporary Middle East, based in Amman, and then Research Director at the Graduate Institute for Development Studies in Geneva. During the 2000s, he has led large-scale research projects on international aid in the Near East for United Nations’ agencies. His present research project titled ‘Violence, memory and cinema’ explores the role of documentary and fiction films in reconstructing collective identities during armed conflicts (Israel/Palestine) in post-civil wars (Lebanon) and in post-dictatorship contexts (Argentina and Chile). Ambassador Wolfgang Amadeus Bruelhart is Assistant State Secretary and Director General of the Middle East and North Africa Division at the Swiss Federal Department of Foreign Affairs. He also holds the role of Deputy Head of the ‘Middle and Near East Policy’ Task Force. From 2008 to 2012, Bruelhart served the Department as Ambassador of Switzerland to the United Arab Emirates. From 2003 to 2007, he was head of both the Human Rights Policy Section and the ‘Human Rights Council’ Task Force. 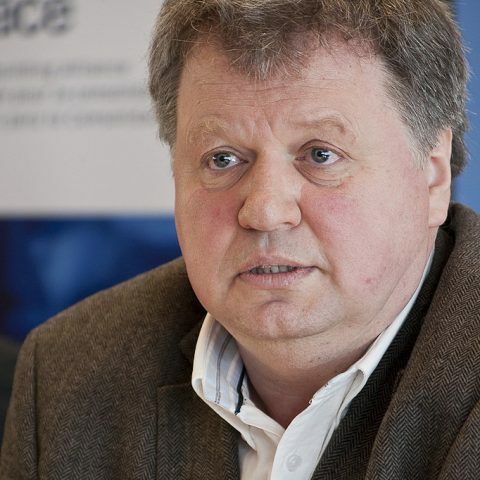 From 1999 to 2002, he was Cultural Counsellor at the Swiss Embassy in London and from 1996 to 1998 he was Counsellor at the Swiss Embassy in Sarajevo. Prior to joining the Department of Foreign Affairs, from 1992 to1993 he worked in the Department of Home Affairs (Social Security, Health, Culture, Education, Sport and Environment) as Private Secretary to the Minister of Home Affairs, Flavio Cotti, and as Acting Press Spokesman for the Department. From 1987 to 1991, he was head of Studies and Planning at the General Secretariat of the Christian Democratic Party of Switzerland. Catherine David is deputy director at Musée National d’Art Moderne – Centre Georges Pompidou in Paris, where she is running the Research and Globalisation program. 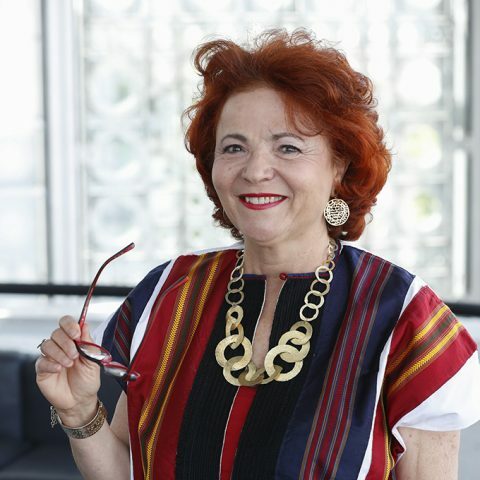 From 1982 to 1990, David was curator at Musée National d’Art Moderne, Centre Georges Pompidou and from 1990 to 1994 she was curator at the Galerie Nationale du Jeu de Paume, Paris. From 1994 to 1997, David served as artistic director for documenta X in Kassel, Germany (1997). 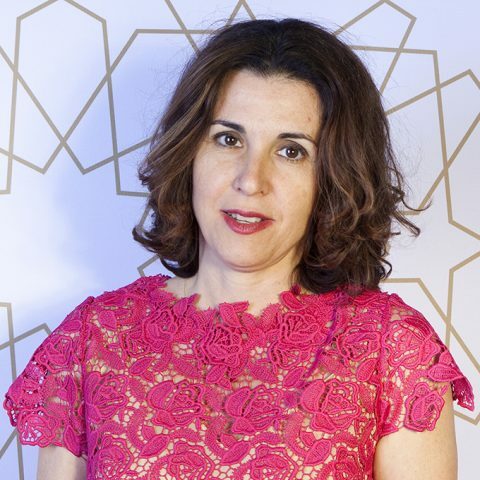 Since 1998 she has been director of the long-term project Contemporary Arab Representations, which began at the Fundació Antoni Tàpies, Barcelona. Between 2002 and 2004, David was director of the Witte de With Center of Contemporary Art in Rotterdam, the Netherlands. David recently organised Reframing Modernism at the National Gallery in Singapore. In 2018 she also curated Memories for the futures – Indian modernities and co-curated, in conjunction with Mustafa Shabbir Hussein, Latiff Mohidin : Pago Pago (1960-1969) at MNAM-Centre Pompidou in Paris. Ishac Diwan is a visiting professor at SIPA, Columbia University. Diwan received his PhD in Economics from the University of California at Berkeley in 1984. He holds the chair of the Socio-Economy of the Arab World at Paris Sciences et Lettres, a consortium of Parisian universities. From 1984 to 1987, he taught international finance at New York University’s Business School, after which, from 1987 to 1992, he worked in the Research Complex of the World Bank, in the Middle East department from 1992 to 1996, and then at the World Bank Institute from 1996 to 2002. He held teaching positions at Harvard Kennedy School from 2011 to 2013, and at Dauphine University in Paris from 2014 to 2015. He was the Kuwait visiting professor at the Belfer Center of the Harvard Kennedy School of Government from 2016 to 2017. He is a frequent consultant with international organisations and governments. Diwan spent time in Addis Abeba, from 2002 to 2007, and in Accra, from 2007 to 2011, as the World Bank’s Country Director for Ethiopia and Sudan, and then for Ghana, Liberia, Sierra Leone, Burkina Faso, and Guinea. He has worked extensively on conflict prevention as well as state building in Palestine, Sudan, Liberia, Sierra Leone, Yemen, Guinea. He has also participated in the Sudan Comprehensive Peace Agreement, the Darfur Peace Negotiations, and the Oslo negotiations. Diwan’s work on international finance, as well as on the Middle East, is widely published and cited. His current research interests focus on the political economy of the Middle East, in addition to broader development issues. He is currently directing the Political Economy program of the Economic Research Forum, an association of social scientists from the Middle East. She has published her research in journals such Communication Theory, Journal of International and Intercultural Communication, Media Studies in Communication, and Communication and Critical/Cultural Studies. 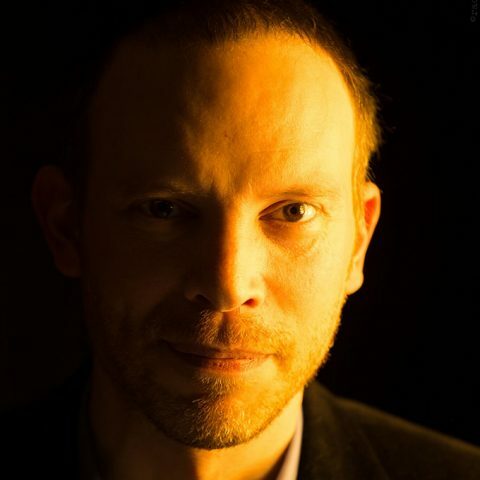 Professor Fabrice Epelboin has been teaching privacy and the surveillance state in the Institute of Political Sciences of Paris and has been a privacy activist and an open source advocate for the past decade and is a pioneer in social networking astroturfing studies. As a hacker, he has been involved in the Arab Spring alongside the Telecomix hacktivist group. He cofounded numerous startups in various fields, ranging from social networking to collaborative cybersecurity, and has a true vocation in disrupting technologies since he was introduced to Mosaïc by his father in 1993 and learned the early version of html before starting a web agency. Today, Fabrice is treating himself to a second youth with the blockchain. 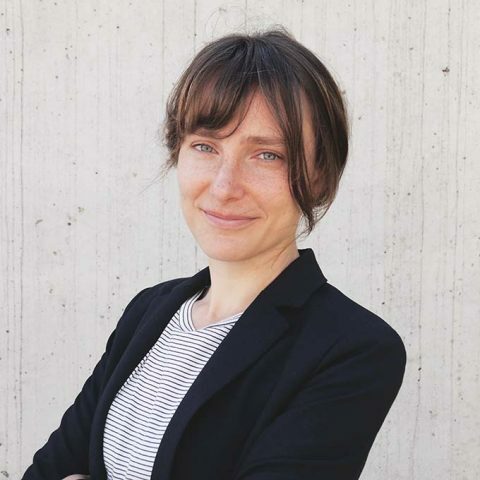 Dr Johanna Fassl is associate professor of Art History and Visual Communication, and director of Scholarships Without Bordersat Franklin University (FUS) in Lugano, Switzerland. She holds a PhD with distinction from Columbia University and received a number of grants for her research from the Mellon Foundation, the Getty Research Institute, and the Swiss National Science Foundation. Her research focuses on the mental processes behind the creation and reception of art with a specific interest in perception, studying the physiology and neuropsychology of vision. In her research on Enlightenment art, Fassl took up notions of visuality in science and philosophy with respect to how Newton’s discoveries of white light, space, and gravity translate into an early modern psychology of perception. In 2015, she founded the Scholarships Without Borders(SWB)program at FUS. SWB gives refugee students a chance to finish their university studies with a BA degree and is supported by a complex structure that ensures the academic success and personal well-being of its enrolled students. She is currently writing the script for a documentary film entitled, ‘Missed Encounters’, which examines the representation of trauma in the art of soldiers from the ongoing conflicts in the Middle East, including Afghanistan, Iraq, and Syria. In 2013, within the scope of this project, she curated the exhibition ‘Syria: Facing the Revolution’at FUS, and co-edited the second volume of ‘Intervalla: platform for intellectual exchange’, which was dedicated to ‘Trauma, Abstraction, and Creativity’. Federica Frediani has obtained a Ph.D. in Comparative Literature at the University of Siena (2005). She is presently researcher, lecturer and educational program manager of the MEM Freethinking Platform at the Università della Svizzera italiana and she has scientific collaborations with the Department of Foreign Languages, Literatures and Cultures at the University of Bergamo. Her research is primarily focused on the cultural representations and productions of the Mediterranean as well as its intercultural and political dynamics. She is author of Uscire. La scrittura di viaggio delle donne al femminile: dai paradigmi mitici alle immagini orientaliste (Diabasis 2007) and editor of The Mediterranean Cities between Myth and Reality (Nerbini 2014). She is co-author with Fernanda Gallo of Ethos repubblicano e Pensiero meridiano (Diabasis, 2011). 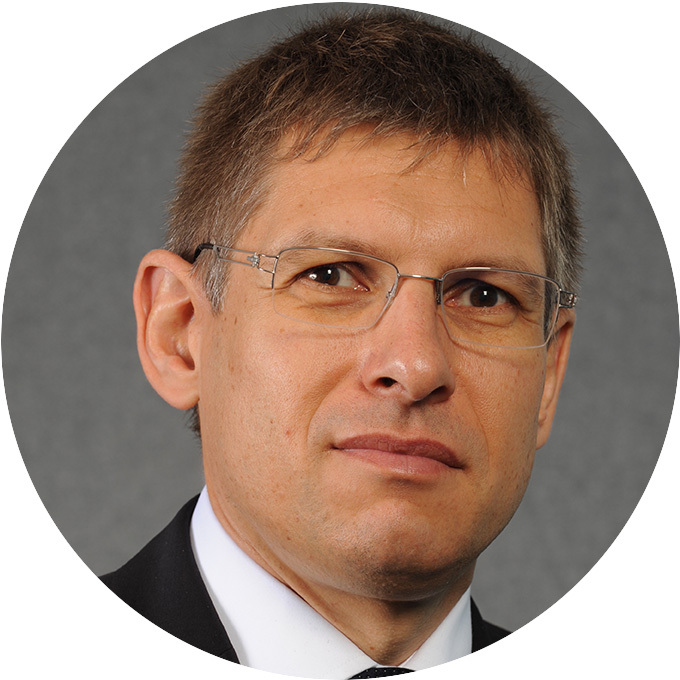 Mr Daniel Gasteiger has worked in financial services for more than 20 years. Starting out as an FX trader at Credit Suisse, he later joined UBS to work with hedge funds and third-party banks promoting UBS’s business-to-business API solutions and Prime Brokerage services. In his last role at UBS, he built up and managed the chairman’s office as managing director. 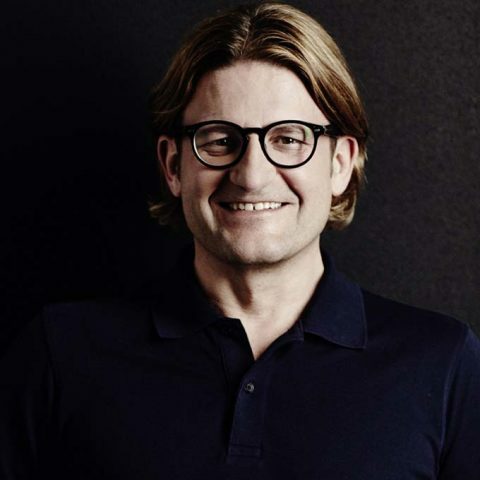 His fascination with blockchain technology led to his decision to start nexussquared, a business platform based in Zurich, where he drove the efforts to enhance the attractiveness of the location for international start-ups and helped new ventures, as well as established players to build up business based on the technology. 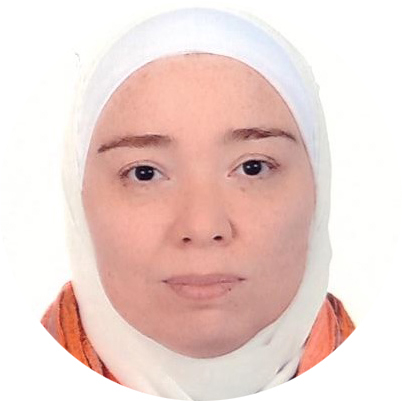 Ms Abir Haj Ibrahim is one of the two co-founders of Mobaderoon Network, a civil institution with more than 4000 social activists, which works to provide civil society organisations in the Arab region with a range of consulting and training services. Prior to founding the network, Haj Ibrahim was involved in voluntary work, whilst also working in the oil and gas sector, which she left once Mobaderoon gained momentum. She participated in developing the Procurement & Contracts department in partnership with TOTAL E&P and was nominated as High Potential employee for two years. She was subsequently selected as a project manager with the British Council where she was able to play a major role in putting the Active Citizens program into action. During the Syrian conflict, Haj Ibrahim’s new area of concern involved conflict resolution as a response to the local needs in Syria. She became a peace building facilitator in a widespread youth network and had the opportunity to build on her skills in mediation in several ways. She trained, planned and worked with peace actors who had a clear common vision in mind. In protecting sectarianism from spreading across the country, she was able to lead the network into a synergistic process and gathered members from different backgrounds, cultures and ethnic groups into one network, whose focus was on common values, as well as managing the worst time of isolation in the surrounding areas. Working with people has given Haj Ibrahim the ability and the dedication to allow the network to develop and function in a more systematic way, whilst providing proper protection for the flexibility of the network. In 2014, Haj Ibrahim was one of the co-founders who won the Livia Foundation Prize for her work in peace during the conflict. Marlen Heide is a PhD candidate at the Institute for Public Communication (ICP) and is carrying out research on national security secrecy. Prior to joining USI, she worked at the Transparency International Secretariat and the German Ministry of Foreign Affairs. She conducted survey research in Tbilisi, Georgia and was a consultant for the German Armed Forces. She studied at Erfurt University, Bogaziçi University Istanbul and holds an MA in War Studies from King’s College, London. Ms Anissa Helouis a chef, a food writer, a journalist, a broadcaster, a consultant and a blogger who focuses on the cuisines and culinary heritage of the Middle East, Mediterranean and North Africa. Having spent time in Beirut, Lebanon, and Mashta el-Helou, Syria, she knows the Mediterranean as only a well-travelled native can. Helou is the author of numerous award-winning cookbooks including Sweet Middle East, Levant, The Fifth Quarter, An Offal Cookbook; Modern Mezze; Savory Baking from the Mediterranean; Mediterranean Street Food; Café Morocco; and Lebanese Cuisine, which was a finalist for the prestigious André Simon awards and was chosen as one of the Los Angeles Times favourite books in 1998. Lebanese Cuisineremains the classic and most comprehensive work on this increasingly popular cuisine. The Fifth Quarter, An Offal Cookbook; Modern Mezze; and Mediterranean Street Foodhave received Gourmand World Cookbook awards. The latter was included in Food & Wine magazine’s selection of the Best of the Best for 2002. Savory Baking from the Mediterraneanwas chosen by NPR, The New York Times, the Chicago Tribune, and Food & Wine as one of the best cookbooks for 2007. Levantwas selected as best of the year by several publications including the Observer Food Monthly and Australian Gourmet Traveller. Her new book, Feast: The Food of the Islamic World, was published to great acclaim by Ecco in May 2018. An accomplished photographer and intrepid traveller, she runs culinary tours to various Mediterranean countries and also teaches cooking classes. She was the featured chef in the travel and cooking show, Al Chef Yaktachef (meaning ‘the chef discovers’), which was broadcast on Abu Dhabi TV in 2010. Helou has also featured as one of the judges/mentors to a team of chefs in Taste Arabia, which aired on Al Nahar TV in Egypt and OSN all over the Arab world. She was one of the guest judges in the final of the last series of Top Chef Arabia. Helou was also the first ever chef-in-residence in Leighton House during the Nour festival in November 2011. In 2013, she helped a group of Egyptian entrepreneurs open Koshari Street in Covent Garden where they serve her gourmet version of Koshari, the ultimate Egyptian street food. Koshari Street was chosen by the FT as one of London’s 5 best street foods. Dr Julian Thomas Hottinger graduated from the University of Lausanne. He obtained his PhD in Political Science and specialised as an International Conflict Mediator at the Canadian International Institute for Applied Negotiations in Ottawa and at the Lester Pearson Peace Keeping Centre in Canada. 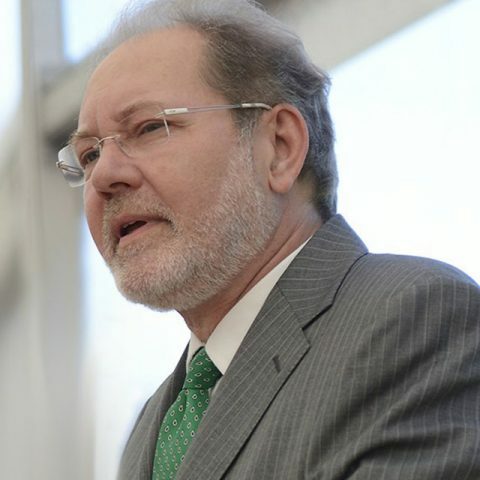 Hottinger works as a Senior Mediator at the Swiss Federal Department of Foreign Affairs, where he currently focuses mainly on advising processes in the military/security area in Colombia, Mozambique and Myanmar. He previously worked as an expert and consultant on various projects covering conflicts in Afghanistan, Cambodia, Colombia, Lebanon, Nicaragua, Northern Ireland, the Republic of the Union of Myanmar, Rwanda, Somalia, Syria, Sudan and Ukraine. He has also worked as a member of the International Standing Hostage Negotiation Team and has collaborated in various activities within this area over the last eighteen years, mainly within the private sector. 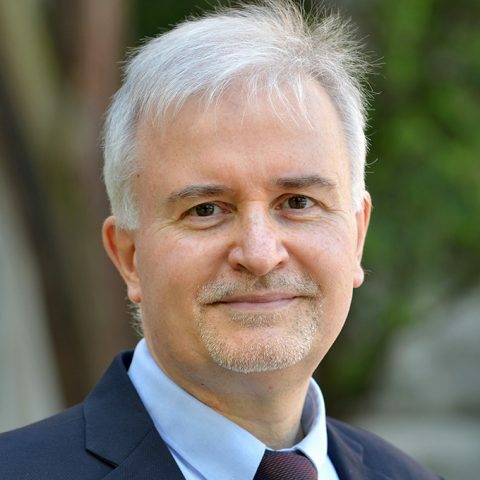 Tomasz Janowski is Head of the Department of Applied Informatics in Management at the Faculty of Economics and Management, Gdańsk University of Technology, Poland. He is also an visiting Professor at Danube University Krems, Austria, and Co-Editor-in-Chief of Government Information Quarterly, Elsevier. From 1995 to 2016 he worked for the United Nations University in China and Portugal where he founded, and directed from 2004 to 2016, a research and development programme focused on digital government. As part of this programme, he conducted lectures, projects, training workshops and consultations in 61 countries around the world. In 2007, he founded the International Conference on Theory and Practice of Electronic Governance, and from 2007 to 2017 he coordinated 10 editions of the conference that took place in Macao, Cairo, Bogotá, Beijing, Tallinn, Albany, Seoul, Guimarães, Montevideo and New Delhi. 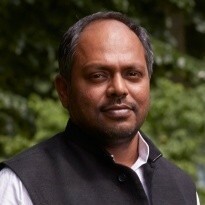 He is author or co-author of over 250 publications, including technical and policy reports prepared for organisations such as CTO, the European Commission, IDRC, ITU, Macao Foundation, Microsoft, OSCE, UNDP, UNESCO and the World Bank, as well as for governments in Africa, Asia and Latin America. His research focuses on Digital Government and Development Informatics. He obtained Habilitation in Management Sciences (equivalent) from the Gdańsk University of Technology and received a PhD in Computer Science from the University of Warwick. Dr Marco Kampp holds a PhD and an MA in Mathematics and theoretical Physics from the University of Cambridge, UK. 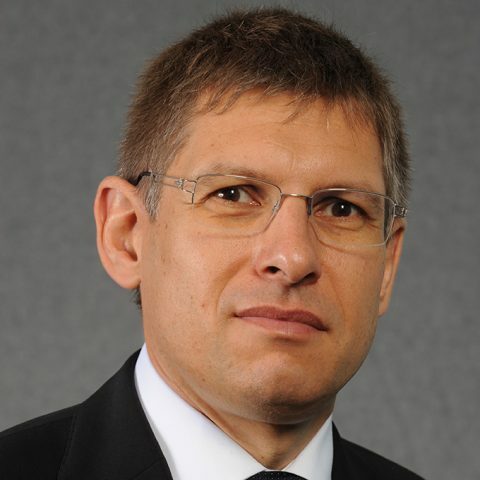 Dr Kampp is currently director of international long-distance passenger transport at Deutsche Bahn AG. He is responsible for executing DB’s plan to enhance cross-border passenger transport in Europe. 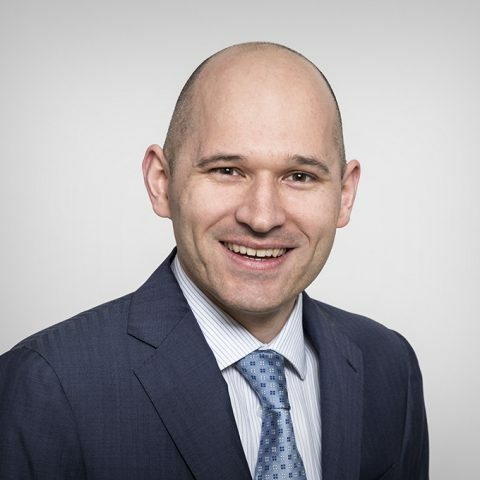 Previously, he held different leadership positions within Deutsche Bahn AG in the areas of strategy, corporate development and network management. 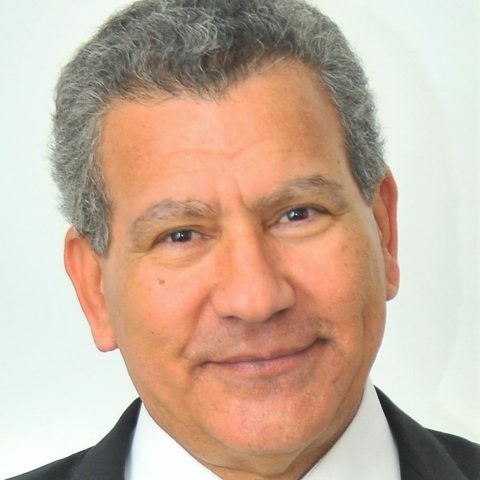 Mr Habib Karaouli is the CEO of a leading investment bank, Founder and Chairman of Capsa Capital Partners, a private equity fund manager.He served as a sell side or buy side adviser in the main public and M&A divestment transactions in the banking, insurance, telecoms and retail sectors. Karaouli was wanked by Jeune Afrique among the three pioneers of investment banking in Africa and qualified as “key figure”. He received Beijing Business Banker’s Award in October 2016, conferred by the International Capital Conference (ICC) for his creativity and contribution to the profession. Karaouli is also Vice-Chairman of the Club of Bank Managers and Credit Institutions of Africa and Chairman of the Committee on SME financing by the markets to the Tunis Stock Exchange (BVMT). He has been president of the Maghreb Economist Forum: 2011-2018. Karaouli was elected “Financier of the Year 2007” by an independent jury of the newspaper l’Expert. He is an expert in business development at the Delegation of the European Commission in Tunis and giva lectures in many national and international seminars on investment banking, private equity, business development, training and employment development. Karaouli has been a Keynote speaker, author of several studies and publications and is a regular contributor in several media including the Maghreb Economist, Le Manager, Express FM and Jeune Afrique to enrich the public debate on major issues. 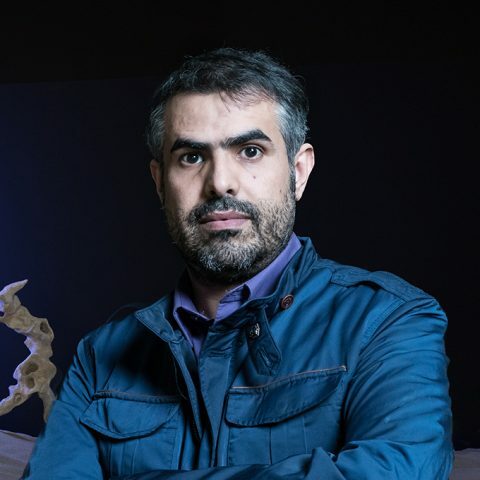 Alexandre Kazerouni, PhD, is a political scientist and a specialist in cultural objects in the contemporary Muslim world, with a focus on the neighbouring countries of the Persian Gulf. Following his postdoctoral fellowship at Stanford University in 2014 and Sciences Po in 2015, he is currently a researcher in the Geography department at École normale supérieure, Paris, and is also a member of its Middle-East Mediterranean Chair. He is the author of Le ‘Miroir des cheikhs : musée et politique dans les principautés du golfe Persique’(The Mirror of the Sheikhs : Museum and Politics in the Principalities of the Persian Gulf), which was published in 2017 at Presses universitaires de France, where he puts new museum projects into a historical, geographical and sociological perspective, such as Louvre Abu Dhabi or the Museum of Islamic Art in Doha, which are also known as ‘mirror-museums’. 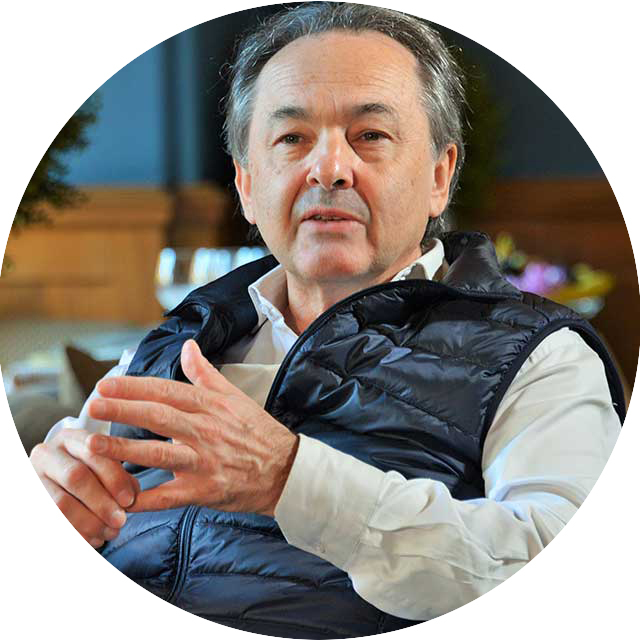 Professor Gilles Kepel is a French Political Scientist and Arabist, has specialised in the contemporary Middle East and Muslims in the West. 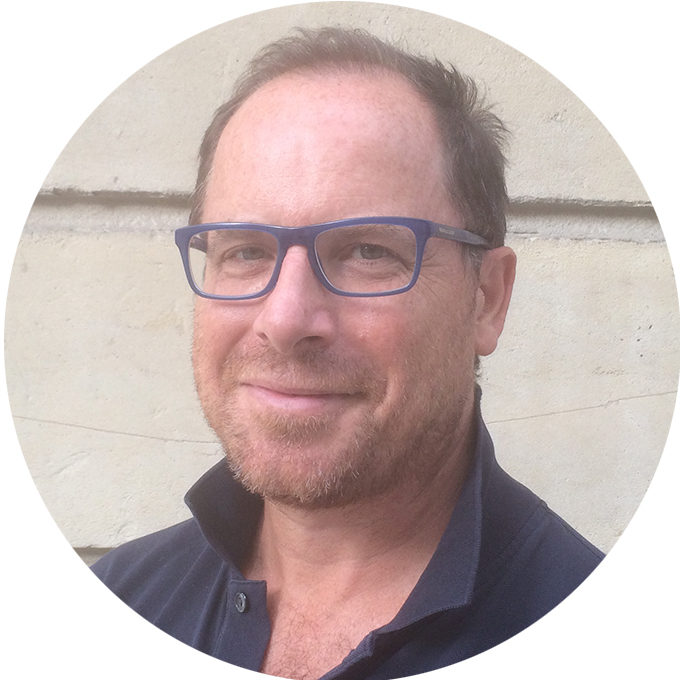 He is the Director of the Middle East and Mediterranean Chair at PSL Paris Sciences et Lettres Research University, based at École Normale Supérieure. 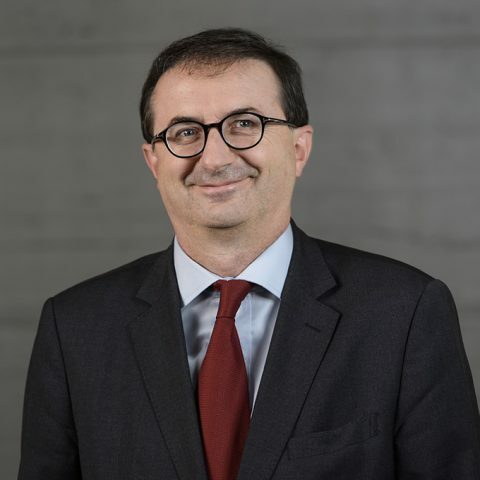 Kepel holds degrees in Arabic, English, and Philosophy, a PhD in Sociology and a Habilitation à Diriger des Recherches (HDR) in Political Science. He has specialised in contemporary islamist movements since his 1983 PhD. He has been a Visiting Professor at New York University and Columbia University and was elected as a Senior Fellow at the Institut Universitaire de France from 2010 to 2015. 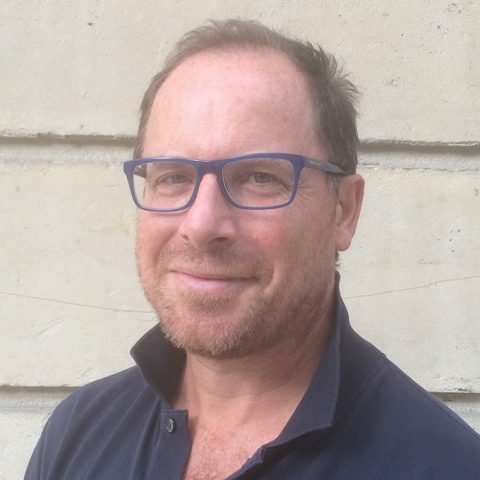 Professor Kepel created and was general editor of the series ‘Proche Orient’ at Presses Universitaires de France, which was comprised of 23 volumes between 2004 and 2017. His books, such as ‘The Revenge of God’ and ‘Jihad: The Trail of Political Islam’, have been translated in a dozen languages. Recently he has published ‘Terror in France: The Rise of Jihad in the West’ (Princeton U. Press, 2017). 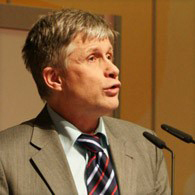 Andreas Ladner isa full Professor for political institutions and public administration at IDHEAP, University of Lausanne. His areas of research include the quality of democracy, local government, institutional change, political parties and voting advice applications. He has conducted several major research projects of the Swiss National Science Foundation and authored books and articles on these topics. He has published in: Local Government Studies, International Review of Administrative Sciences, International Political Science Review,Environment and Planning C, International Journal of Electronic Governance, Environmental Politics, European Journal of Political Research, West European Politics, Electoral Studies, Party Politics, Regional and Federal Studies, among others. He also regularly comments on Swiss politics in the media. 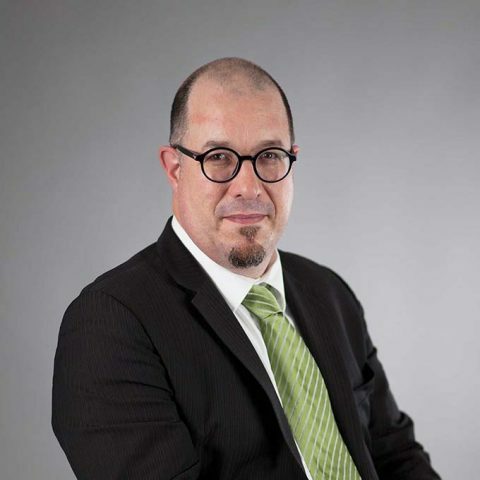 Andreas Ladner is currently director of IDHEAP and vice dean of the Faculty of Law, Criminal Science and Public Administration at the University of Lausanne. Martino Lovato works on the intersection between Italian, French and Arabic literature and cinema. He obtained university degrees from the University of Bologna, The American University in Cairo, and The University of Texas at Austin, and is Visiting Lecturer in Classics and Italian at the Mount Holyoke College. His research focuses on the Mediterranean as an interdisciplinary regional framework to study narrative works together with law, ethics and conflict,translation, religion, and historiography. 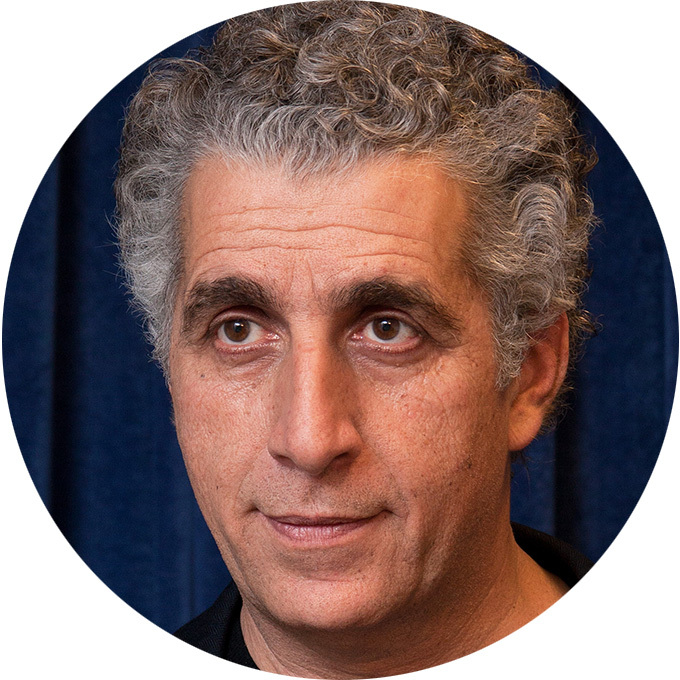 At Mount Holyoke College, he teaches language, literature and cinema at the departments of Italian Studies, Romance Languages and Cultures, and Middle Eastern Studies. His writings on Merzak Allouache and Leo Africanus appeared in The Mediterranean Review and the Echi Oltremare Conference 2011 Proceedings. He also wrote several book reviews for the E3W Review of Books. He is currently working on his first book project, a study on contemporary writers and filmmakers from Algeria, France, Italy, Tunisia and Egypt, to propose an interdisciplinary approach to literature and cinema across diverse societies and cultural traditions in the Mediterranean region. 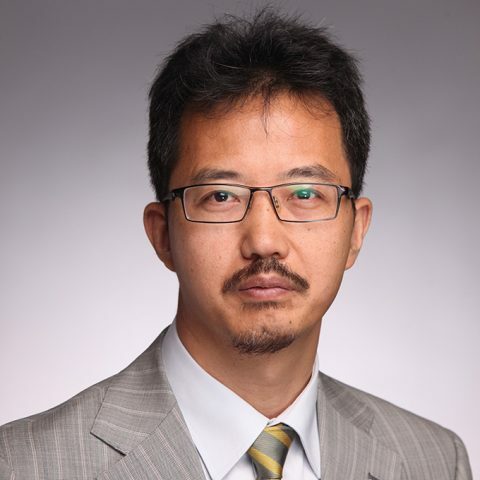 Professor LU Xiankun isManaging Director of LEDECO Geneva and Associate Partner of IDEAS CentreGeneva. He is Emeritus Professor of China Institute for WTO Studies of the University of International Business and Economics (UIBE) and Wuhan University (WHU) of China, and visiting Professor or Senior Research Fellow of some other universities and think tanks in China and Europe. He also sits in management of some international business associations and companies, including as Senior Vice President of Shenzhen UEB Technology LTD., a leading e-commerce company of China. Previously, Mr. LU was senior official of the Chinese Ministry of Commerce and a senior diplomat posted in Europe, including, from 2006 to 2014, in Geneva as Counsellor and Head of Division of the Permanent Mission of China to the WTO, and, from 1996 to 2000, in Brussels as Commercial Secretary of the Permanent Mission of China to the EU. Mr. LU speaks Chinese as mother tongue as well as fluent English and French. He is married with one son. Physician turned artist, Ahmed Mater is one of the most significant cultural voices documenting and scrutinising the realities of contemporary Saudi Arabia. Born in 1979 and having grown up in the fertile south of the Kingdom, his life and work has been shaped by the seismic changes of the oil boom and rentier era – transformations which have diverged into unprecedented social shifts and trenchant ideologies. He uses photography, film, sculpture and performance to map, document and analyse the tension of these rapid developments, considering their psychological impact on the individual, the community, society and the world. His practice embraces the paradoxes of science and faith. Entwining expressive and politically engaged artistic aims with the scientific objectives of his medical training, he fuses the two realms to explore their connections and contradictions. Employing broad research-based investigative techniques, Mater assesses the Kingdom’s social, economic and religious condition, mining and preserving disregarded and forgotten narratives through expansive documentary ambles. His surveillances are also distilled into compacted conceptual scenarios, nodes that tug at the dense strands of the Kingdom’s past, present and future, conjuring and contemplating modernisation and tradition, religion and globalisation. Mater’s work has been widely exhibited internationally including at The British Museum, London (2006 and 2012); Mori Art Museum, Tokyo (2011); Institut du Monde Arab, Paris (2012); Victoria and Albert Museum, London (2013); New Museum, New York (2014); Guggenheim, New York (2016). In 2016, he became the first Saudi artist to hold a solo exhibition in the United States with ‘Symbolic Cities: The Workof Ahmed Mater’at the Smithsonian Institution’s Arthur M. Sackler Gallery, Washington DC. He has participated in talks and panels including at The Louvre, Paris (2010); Akademie der Kunste, Berlin (2010); Armory, New York (2011); Art Basel, Basel (2012); Leiden Museum, Amsterdam (2013); Art Dubai, Dubai (2017); and UNESCO NGO Forum, Riyadh (2017). His work is part of major international collections including The British Museum, London; Victoria & Albert Museum, London; Los Angeles County Museum of Art, California; and Centre Pompidou, Paris. 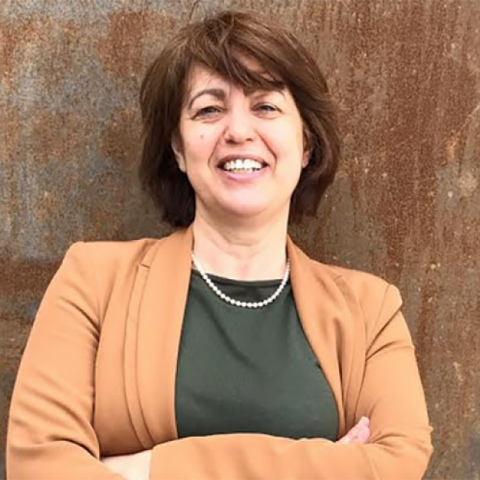 Silvia Naef has been a full professor at the Arabic Studies Section of the University of Geneva since 2006, where she obtained her Ph.D. in 1993 with a thesis on modern art in the Arab world (published in 1996). As a postdoctoral scholar, she worked on Shia in Iraq and Lebanon and their relation to left-wing ideologies, in Germany (Tübingen and Freiburg im Breisgau, 1993-1996) and Basel (Switzerland, 1996-2000), with grants from the Swiss National Science Foundation and the Janggen-Pöhn Foundation (St. Gallen, Switzerland). 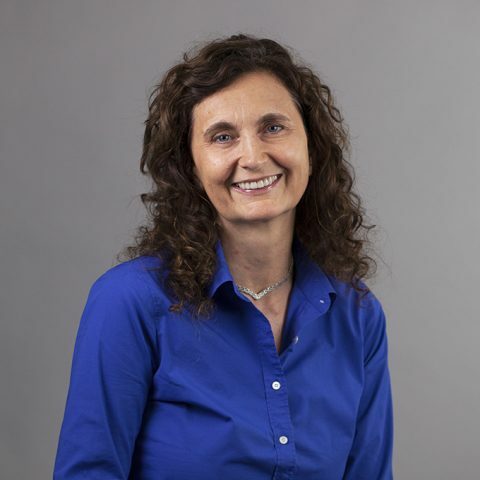 She has taught in Tübingen (1995/96) and Basel (1997-2000); in 2000, she became an associate professor at the University of Geneva. At present, her research focuses on modern art, visual representations and images in the Arab and Islamic world; she is also interested in gender issues. On this theme, she organised in April 2013, with Prof. Yasmina Foehr (Medieval French studies) a conference on the veil and the female body, which resulted in a publication. She was the leading researcher of the four years Sinergia research project ‘Other Modernities: Patrimony and Practices of Visual Expression Outside the West’, funded by the Swiss National Science Foundation (2013-2016), codirected by Prof. Irene Maffi (University of Lausanne) and Prof. Wendy Shaw (Free University Berlin). She has been a visiting professor at the University of Toronto (2007-2009), and at the University of Sassari (Italy, 2012), at the Ecole Normale Supérieure in Paris (2016), and a research fellow in Göttingen (2013) and Princeton (2003). 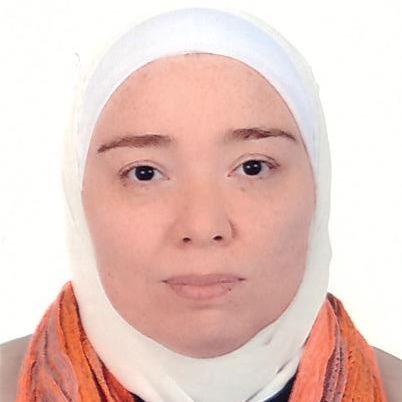 Ms Yosra Nagui is a Program Officer in the Mediation program at swisspeace, focusing on Syria. She has been mainly working on supporting swisspeace’s activities on the inclusion of Syrian civil society in the UN OSE-led Intra-Syrian Talks in Geneva. She also manages a project supporting local peace actors in Syria through trainings and coaching on mediation. Before joining swisspeace, Nagui was working with the UNHCR Syria Emergency Operation in Cairo. She has also worked with different human rights organisations in Geneva, Cairo and Beirut including with Human Rights Watch and the Egyptian Initiative for Personal Rights. Her research interests include the interplay between mediation and human rights, security arrangements, and comparative politics with a focus on the Middle East and North Africa region. Nagui holds a MA in Development Studies from the Graduate Institute in Geneva and a BA in Political Science from Cairo University. She is Egyptian-Swiss. Egyptian artist Moataz Nasr explores traditions and new globalism, questioning geopolitical and social development in Africa. The artistic practice for Nasr is a tool and a language that embraces art, sociology, Sufism and history in order to encourage dialogue across geographical boundaries. The most recent group shows include: ‘The See Is My Land’, curated by Francesco Bonomi and Emanuela Mazzonis (MAXXI, Rome, 2013); ‘Metropolis. Afriques Capitales’, curated by Simon Njami (La Villette, Paris, 2017); ‘Senses of Time: Video and Film-based Arts of Africa’, (LACMA and The Smithsonian National Museum of African Arts, Washington, 2017). His most recent solo shows include: Galleria Continua / Beijing in 2012 and Galleria Continua / Le Moulin in 2015. 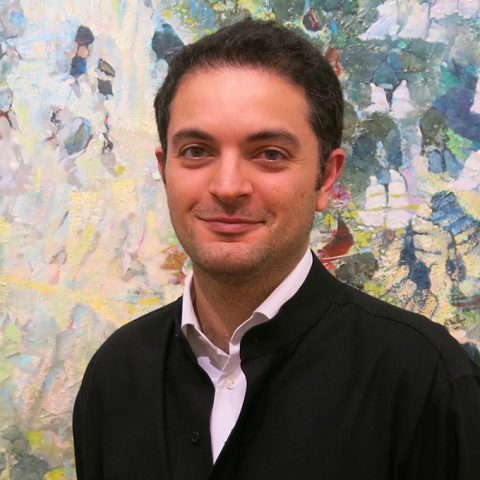 In 2017, he was selected to represent Egypt during the 57th Venice Biennale. The work presented in the Egyptian Pavilion was an immersive installation showing the original film ‘The Mountain’. In June 2018, Nasr will participate in the Yinchuan Biennale, China, curated by Marco Scotini. Mr Ibrahim Olabi is the founder of the Syrian Legal Development Programme, an organisation addressing international law matters in the Syrian conflict. Olabi trained more than 500 Syrians inside Syria and in neighbouring countries on matters of international humanitarian, human rights, and criminal law relevant to the Syrian conflict. He was in Syria during the chemical attack of 2014, providing legal training, and also regularly engages with the policy makers such as those in Geneva, London and Brussels on human rights matters related to Syria. Olabi chaired and spoke at many events organised by Chatham House, universities and think tanks. He also met with previous heads of States, such as President Holland, and received personal invitations from the heads of State of the UK and Germany to attend Syria related conferences. In 2017 he worked as a consultant for the Office of the United Nations High Commissioner for Human Rights on the legality of local agreements that lead to population transfer in Syria. He is also a consultant for the International Bar Association Human Rights Institute. Academically, he has completed his LLM (Master of Laws) in Security and International Law and his LLB at the University of Manchester and was awarded Distinguished Achievement Award: Undergraduate Student of the Year and then a year later the Postgraduate Taught Student of the Year. Ms Hela Ouardi is a University professor in Tunis, where she teaches French Literature and civilisation. She is also an associate member of the Laboratoire d’études sur les monothéismes [Laboratory of Studies on Religious Monotheisms] of the French National Center for Scientific Research in Paris. In addition to her numerous works in the field of literary criticism and history of ideas, she is interested in Islamology. She coordinated the new critical edition of the Chrestomathie arabe [Arabic Chrestomathy] by Antoine-Isaac Silvestre de Sacy (P.U.F., 2008) and she published in the French Review ‘Le Débat’ an article entitled De l’autorité en islam [On Authority in Islam] (Gallimard, 2012). Ouardi devotes herself particularly to the study of the Origins of Islam. She is the author of the book Les derniers jours de Muhammad [The Last Days of Muhammad], (Albin Michel, 2016). 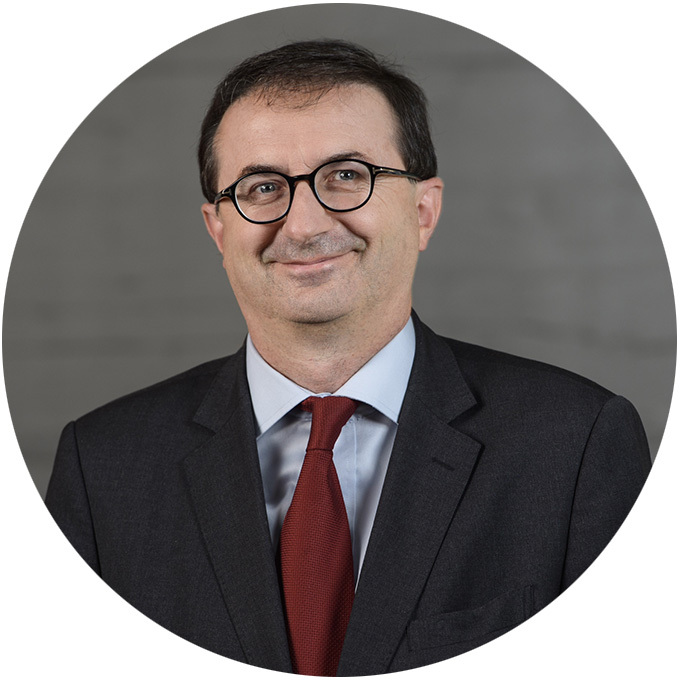 Dr Francis Piccand is responsible for the Middle-East and North Africa think tank at the Swiss Federal Department of Foreign Affairs. He is also professor associate of International Relations at the Webster University, Geneva. Prior to that, he worked as a delegate for the International Committee of the Red Cross. Piccand is a member of Swiss and Swiss-based organisations and their respective activities in Israel and Palestine (Swisspeace). He is a member of the International Directory of Middle East Scholars (Columbia University, New York) and he is Chairman of the CRES Foundation (Centre de Recherches Entreprises et Sociétés). He is also a member of the Scientific Counsel at the Geneva School of Governance, as well as a founding member of the Geneva Center for Security and Development in the Middle East. Some of his publications include: ‘The Syrian Policy in the Middle East: 20 Years of the Assad Doctrine (1970 – 1990’); ‘From Tribe to Nation in Black Africa’; ‘Islam and International Relations: Towards a Clash of Civilizations? ; ‘Bachar al Assad from Syria: End of Regime or New Start?’; and ‘The Arab Spring: Challenges and Perspectives for Switzerland’. Mr Gino Raidy is a blogger based in Beirut, Lebanon. While studying Biology at the American University of Beirut in 2010, Raidy started his blog as an extra credit assignment for an English creative writing course. 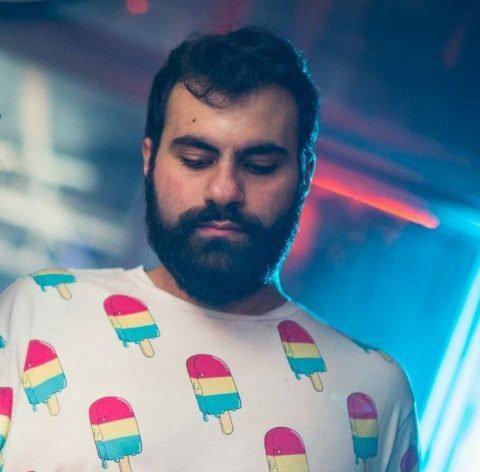 The blog started to garner wide attention beyond the AUB campus, and soon it transformed from a platform for reviews about where to go out dining and clubbing, into a voice for liberal Lebanese youth. Raidy tackles social, political and economic issues in Lebanon and the Middle East, whilst focusing on human rights. Gender equality, free speech, criminal justice reform and LGBT rights are prominent recurring themes on the blog. Raidy worked as a journalist covering the refugee crisis and the political unrest in Lebanon with VICE, BBC, CNN and others. He is currently the vice president of a local NGO, MARCH, which works against censorship of all forms in Lebanon, as well as peace building projects in former conflict areas such as Tripoli, Arsal, Akkar and Beirut. 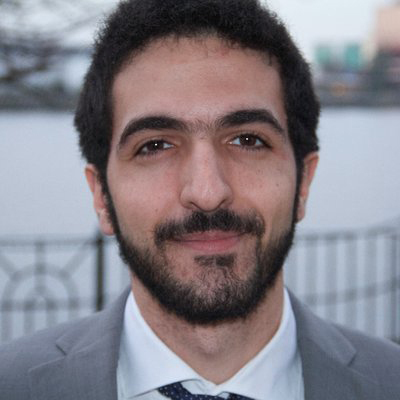 Raidy regularly contributes to Annahar Newspaper and NOW English, and continues to maintain his blog in its 9th year with over 4000 articles published and millions of views. 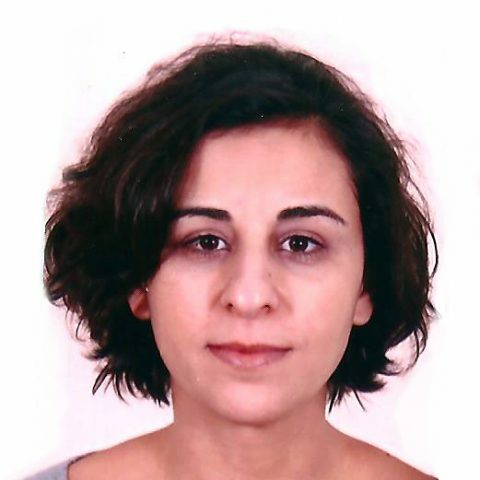 Ms Ghada Sayegh is Assistant Professor at the Institute of Scenic, Audiovisual and Cinematographic Studies, Saint-Joseph University of Beirut, where she teaches ‘Contemporary artistic practices in Lebanon – Cinema and History – Cinema, archives and memory’. 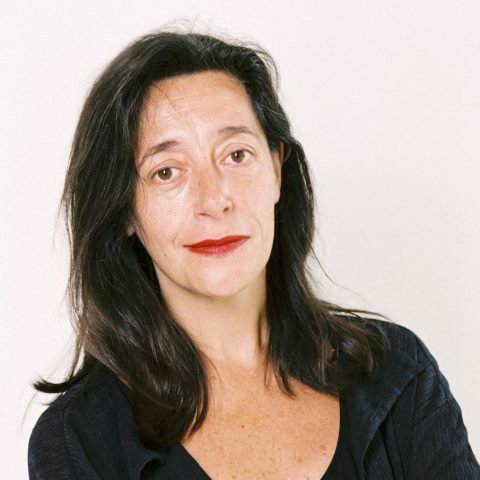 She has a PhD in Film Studies from Paris Nanterre University; her thesis was entitled Images in the aftermath: the space-time of war in Lebanese cinema, from the “New Lebanese Cinema” (1975) to contemporary artistic practices (1990 to this day). Her research focuses primarily on cinema and contemporary art in historical contexts in Lebanon. Dr Prashant SHARMA is a senior consultant with the Infrastructure, PPPs and Guarantees group at the World Bank. He is also a Research Associate at the Swiss Graduate School of Public Administration, IDHEAP, University of Lausanne. Sharma holds a PhD from the Department of International Development at the London School of Economics and Political Science (LSE) and also has degrees from the School of Oriental and African Studies (SOAS), University of London, and the University of Delhi. He was previously a Visiting Fellow at the United Nations Research Institute for Sustainable Development (UNRISD), Geneva, and an Open Society Fellow working on a global research project investigating the accountability question in social infrastructure PPPs. Based in Geneva, Sharma has been researching, working and lecturing on PPPs and accountability in all corners of the world for almost a decade. He is currently working on a project that provides technical assistance to the governments of Ghana, Honduras, Kenya, Nigeria and Uganda in developing and implementing national level PPP disclosure frameworks. He is an author and editor of two books, and his work has been published widely in several international journals, as well as mainstream media. Mark Thatcher is Professor of Comparative and International Politics, Department of Government, London School of Economics. He has also taught in Paris and Oxford and been a fellow at the European University Institute,Florence. He studied at Oxford and also qualified as a Barrister. His research expertise lies in comparative public policy and regulation in Europe, and specifically; regulation of network industries; independent regulatory agencies; EU policy making and regulation; regulation of sovereign wealth fund investment; heritage policy and regulation of historic buildings. His current projects include: comparing policies to preserve cultural heritage; the EU and its political identity; Western policies towards sovereign wealth fund investments. Recent publications include: editor, ‘The state and historic buildings’, special issue Nations and Nationalism24 (1), 2018; ‘European Commission merger control: Combining competition and the creation of larger European firms’, European Journal of Political Research 53(3) (2014): 443-464; Resilient Liberalism in Europe’s Political Economy (co-edited with V Schmidt; Cambridge University Press, 2013). 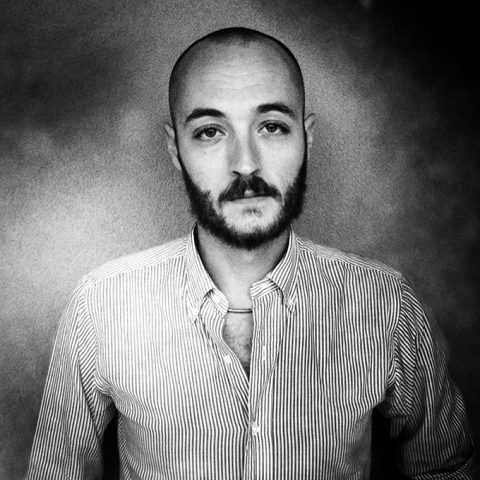 Mr Mattia Vacca is a freelance photojournalist and a documentary photographer. 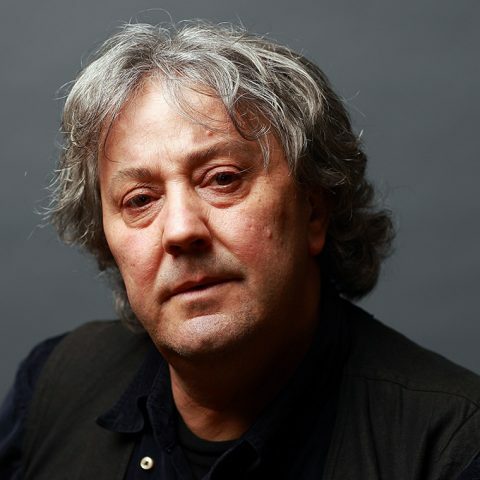 For ten years, he was a daily contributor for Corriere della Sera covering breaking news stories in Northern Italy. He is currently working on various personal projects focused on social issues and the consequences of armed conflicts around the world. 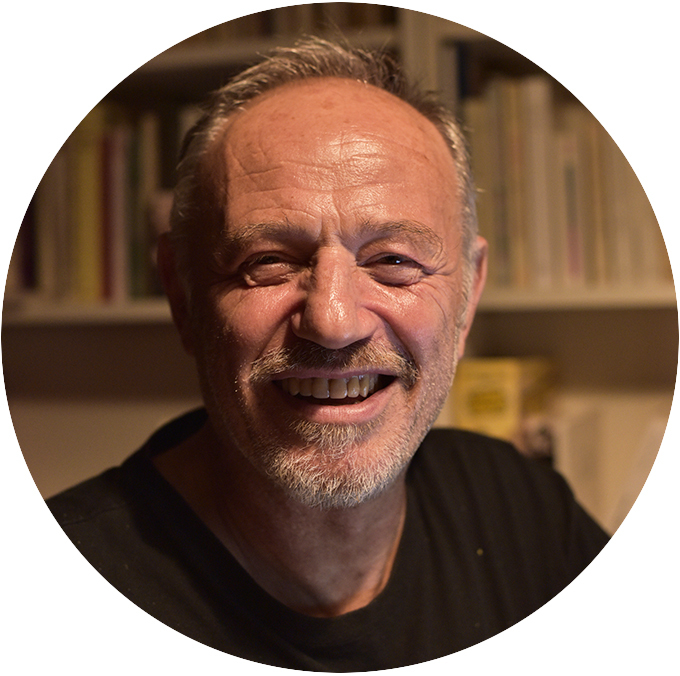 He is the founder of the independent publishing house Delicious Editions. His first photobook “A winter’s tale” came out in 2014, in 2018 he published the photobook “Confine”; a collective narrative about how the city of Como, on the border between Switzerland and Italy, became a refugee camp. In 2018 he joins Prospekt Agency. His work has been featured on New Republic, Wired, The Guardian, The Independent, Die Zeit, BBC, Vice, Vanity Fair, among the others. 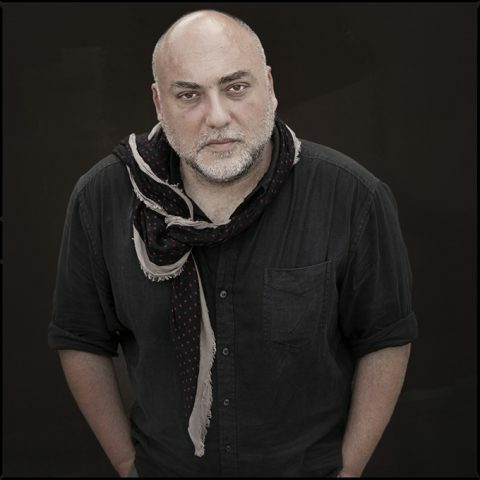 He received numerous awards, including Sony World Photography Awards, Royal Photographic Society Awards, Unesco Humanity Photo Awards, New York Photo Awards. His photographs have been exhibited in galleries and festivals worldwide. He was also a TEDx speaker. 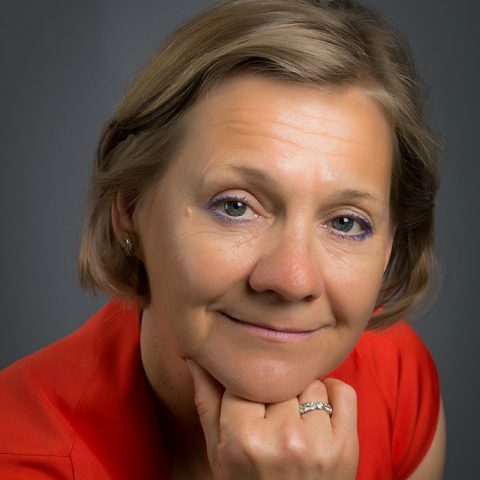 Professor Liisa Välikangas teaches innovation management at Aalto University and Hanken School of Economics in Helsinki, Finland. She was previously affiliated with Stanford University, London Business School and Keio University in Japan. She has also worked for Strategos, a strategic management consulting firm, and SRI International in California’s Silicon Valley. She is Senior Editor of Management and Organization Review, a journal focused on China and emerging markets, published by Cambridge University Press. Her current research projects focus on the business and societal implications of digital technologies including blockchain and how to tackle very large problems, namely, world challenges. Välikangas has consulted and worked with many small and large companies around the world and served on the board of the Finnish National Innovation Agency, Tekes. She is known for her publications in strategic renewal and resilience, including ‘The Resilient Organization’, (McGraw-Hill, 2010) and ‘The Quest for Resilience’, (Harvard Business Review, 2003). She is also known for her publication on innovation management, ‘Strategic Innovation’, (Pearson/Financial Times Press, 2015). Jean-Patrick Villeneuve is Associate Professor at the Università della Svizzera italiana (USI). 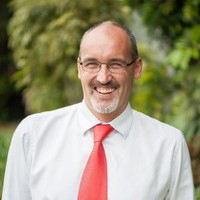 He is Vice Dean of the Faculty of Communication Sciences, Deputy-Director of the Institute for Public Communication and Academic Director of the Master programme, Public Management and Policy (offered in conjunction with the University of Lausanne and the University of Berne). He is also Adjunct Professor of Public Management at the Ecole nationale d’admnistration publique (Canada) and Visiting Professor at the International University of Business and Economics (UIBE) in Beijing, China. He is member of Ticino’s Cantonal Commissione di Mediazione Independente. and Member of the Steering Committee of the Independent Expert Panel of the Open Government Partnership. Before joining USI, Prof. Villeneuve worked for the United Nations (International Civil Aviation Organisation, International Labour Organisation) and Canadian public organisations (Federal Ministry of Transport, Federal Ministry of Foreign Affairs, House of Commons). He works regularly with public institution at the local, national and international level. His research on organisational transparency, anti-corruption policies and gambling regulation has been funded by various institutions, notably by the Swiss National Science Foundation and the European Science Foundation. He has published in a number of top level academic journals (Government Information Quarterly, International Review of Administrative Sciences, European Journal of Risk Regulation, Gaming Law Review, among others) and with leading publishing houses (Routledge, Springer, etc.). He is a member of various journal boards and academic associations. Edouard Waintrop was born in Paris in June 1952. 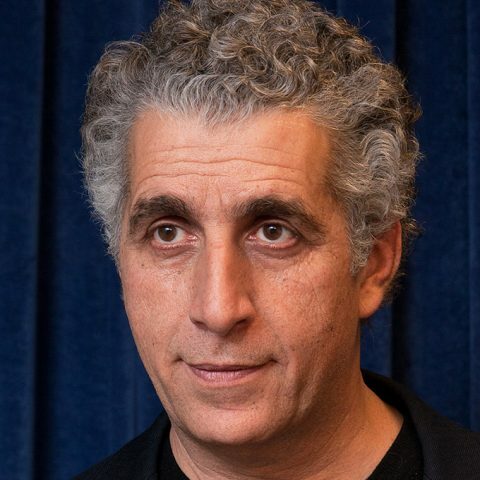 He has always been involved in cinema; first, when he was a teenager, as a film buff, then as a programmer of a movie theatre in the suburbs of Paris, then, and for 26 years, as a critic in the daily Parisian newspaper, Libération. 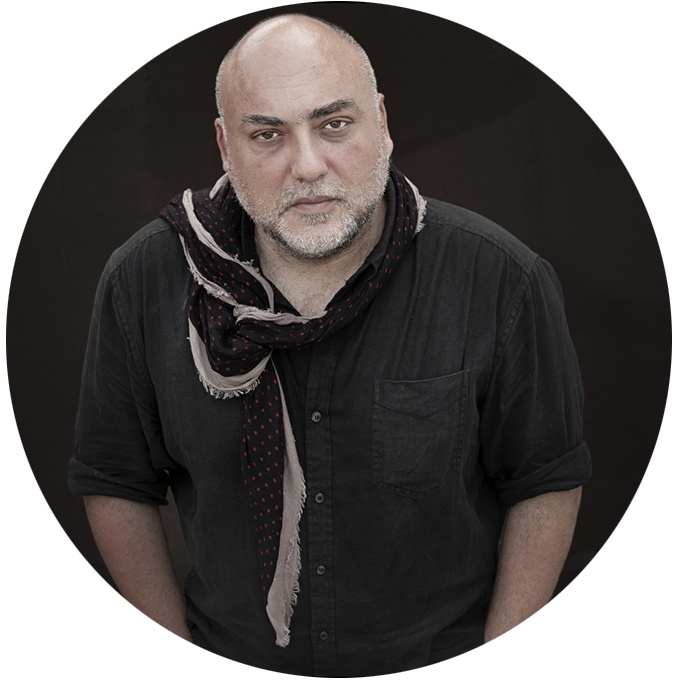 For the last 11 years he has been an exhibitor in Geneva and artistic director of two festivals, the first one in Fribourg (2007 – 2011), and then the Directors Fortnight in Cannes (2011 – 2018). 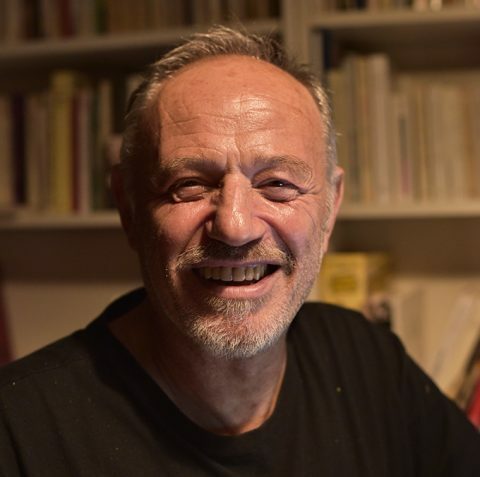 He has also written two books, one coauthored with Frank Eskenazi in 1991 about the French Jewish community (Le talmud et la République, Grasset), whilst the other one he wrote alone in 2012 about the Spanish anarchists (Les anarchistes espagnols, Denoël). Ms Gabriella Zalapì graduated from HEAD, Geneva, and is an artist who probes the construction of identity and the role played by memory in its process. She uses material such as family photographs, archive images, cinema, personal correspondence, and administrative documents as integral sources in her writings, paintings and drawings. It is better to debate a question without settling it, than to settle a question without debating it. We have welcomed 150 participants from 30 countries to join us for constructive and exciting discussions at the MEM Summer Summit 2018. The MEM Seminar 2018 took place at the USI University Campus in Lugano. Both the city centre and Lake Lugano, with the beautiful Ciani Park on the shore, are within a short walking distance of the University. The Campus hosts the USI Faculties of Communication Sciences, Economics and Informatics, as well as the University central administrative offices and library. By train: Lugano is one of the principal stops on the main European North-South route and can be reached from many cities in the northern and southern part of Europe by direct day or night train connections. Check trains and updated departure times from/to Lugano here. From Milano Malpensa: There are frequent direct bus connections to Lugano (travel time 1hr). These are the main providers operating from Malpensa Airport Terminal 1 and Terminal 2: GiosyTours, LuganoServizi, and JetBus. From Milano Linate and from the city centre of Milano, you can take one of the frequent trains to Lugano (about 1h from Milano Centrale Station). Lugano Airport is served by Swiss (Zurich). From the airport, you can take a shuttle to the centre of the city (Shuttle Bus) or a taxi. Zurich Airport: As an alternative you might consider flying to Zurich and use the train to travel to Lugano (overall, a 2h journey). There is a direct, hourly train from Zurich main station to Lugano. It is a chance to experience the longest train tunnel in Europe by passing under the Gottardo. By car: The University is located in Via Giuseppe Buffi 13 and can be easily reached by car. The underground University parking lot is passed the second traffic light after the Glass building (The LAB) on your right. If you need to reach the University entrance instead, keep going straight passed the parking lot entrance and turn second right onto via Fusoni. Turn second right onto Via Lambertenghi and keep going straight until the end of the road until you see the University main building in front of you. By bus from the train station: Go to the bus stop across the street from the train station and take the Nr. 6 bus towards Cornaredo and get off at “Università” (3 stops). By bus from downtown Lugano: At the bus terminal, take the Nr. 5 bus towards “Viganello” and get off at “Università” (3 stops). On foot (around 20-25 minutes): Reach the city centre by taking the pedestrian bridge across the street from the train station and follow the road downhill. From Piazza Cioccaro head south to Piazza Dante. Walk across the square and turn left onto Via Pretorio. Cross Via Pretorio to get to the bus terminal. Walk pass the bus terminal and keep heading straight onto Corso Pestalozzi until you reach a big underground car park and the entrance of the Ciani Park. Turn left onto Via Lucchini and keep walking straight until you reach the University main building (Via Lucchini eventually becomes Via Lambertenghi). Lugano has an effective bus system connecting different parts of the city. Tickets must be purchased at the bus stop. All destinations in the city centre can also be easily reached on foot. The Università della Svizzera italiana is looking for enthusiastic students who are interested in volunteering for the MEM Summer Summit 2018. The international event will gather young change-makers, leaders from the public and private sector, artists, and intellectuals in the south of Switzerland to address recent developments and persisting problems in Mediterranean and Middle Eastern countries. Volunteers can get involved in either the Seminar, the Forum or the entire Summit. The selected students volunteering for the Forum will be granted a complimentary registration. Please note that costs related to accommodation and travel are the students’ responsibility. When not on duty, student volunteers can attend programme sessions, as well as lunches and coffee breaks. If there are specific sessions that volunteers would particularly like to attend, we kindly invite them to inform us, and we will do our best to accommodate their request. Communications volunteer: support our social media team or join on-site communication booths. Hospitality volunteer: assist high-level guests during the Forum – from politicians to business executives. Event-management volunteer: find solutions, provide answers, and connect people and events. Tech Team volunteer: help with audio/visual issues that may crop up. If you are interested in applying for the Student Volunteer Program, please contact us at MEM@usi.ch and indicate “MEM VOLUNTEER” in the subject of the email. We look forward to receiving applications by 30 June 2018!